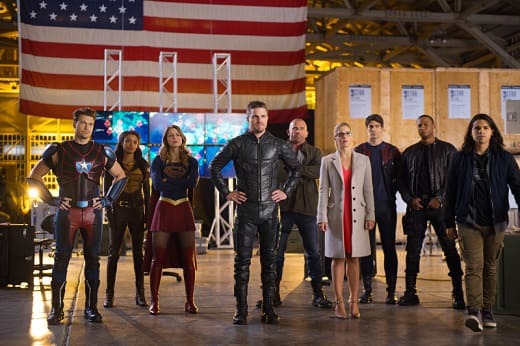 The final part of DC Crossover week took a hit, but it still sent Legends of Tomorrow upwards. The CW: Legends of Tomorrow (3.3 million/1.1 rating) surged to its highest-ever viewership and second highest rated demo rating. Supernatural (1.9 million/0.7 rating) remained consistent with one-week earlier. 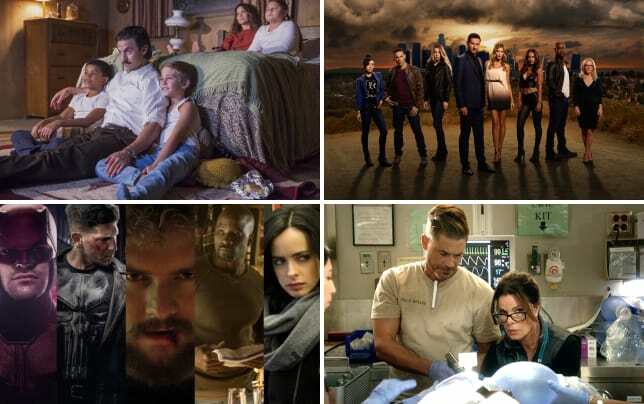 Fox: Pitch (2.4 million/0.7 rating) and Rosewood (3.1 million/0.7 rating) matched their season lows. ABC: It was A Charlie Brown Christmas (6.4 million/1.5 rating) and The Great American Baking Show (4.6 million/1.1 rating). CBS: The Big Bang Theory (14.4 million/3.1 rating) and Pure Genius (4.8 million/0.8 rating) were stable. The Great Indoors (7.1 million/1.4 rating), Mom (7 million/1.3 rating) and Life in Pieces (6.3 million/1.2 rating) ticked up. NBC: NFL Football (16.1 million/4.7 rating) was on the menu.